Learn the basic knowledge of BPMN (Business Process Modeling Notation) along with its elements and purpose. What exactly is BPMN? What does BPMN consist of? 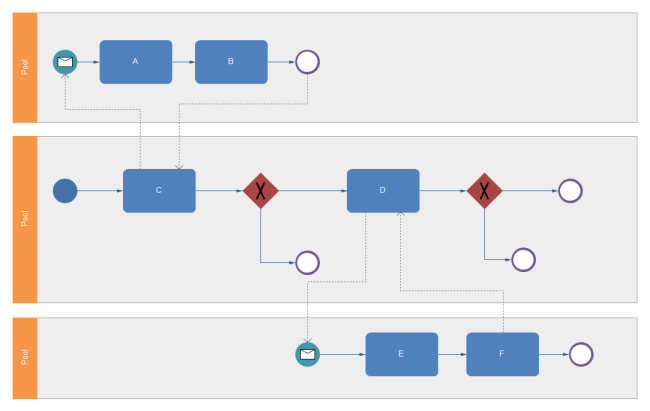 And how do BPMN diagrams work? As a very useful tool to business, it is essential to have a better comprehension of BPMN (Business Process Modeling Notation). BPMN is similar to UML, which most people are familiar with, but focuses exclusively on business processes. So this page will extend definition of BPMN, its key elements and what it can do to help running business. Definition - What is BPMN? BPMN (Business Process Modeling Notation) is a graphical method of representing business processes within a business process diagram. A BPMN will provide businesses with the capability of understanding their internal business procedures in a graphical notation and will give organizations the ability to communicate these procedures in a standard manner. BPMN is conceived and developed by the Business Process Management Institute (BPMI) and maintained by Object Management Group (OMG) since 2005. It is on the fourth iteration and now is Version 2.0. It uses a large set of symbols and notations for Business Process Diagrams to create a more detailed rule for business process modeling. To be more specific, it visually describes a detailed sequence of business activities and information flows needed to complete a process. 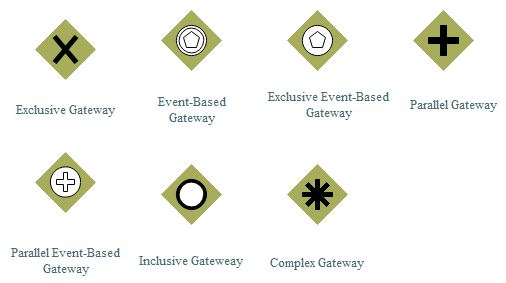 Event: Events are represented by circles containing other symbols based on event type. It could be Start, Intermediate or End. They perform as a trigger to start or complete a process. Activities: An Activity is represented by a rectangle with rounded corners and displays the task needs to be done. It could be a task, or a sub-process. Sequence Flow: A Sequence Flow is represented as a straight line with an arrow. , it shows the order of the activity. Message Flow: A Message Flow is represented with a dashed line with a circle at the start and an arrow at the end. Association: An Association is represented with a dotted line. It is used to associate an Artifact, data or text to a Flow Object. Pool: A Pool is represented with a big rectangle which contains many Flow Objects, Connecting Objects and Artifacts. Lane: A Lane is represented as a sub-part of the pool. The lanes are used to organize the Flow Objects, Connecting Objects and Artifacts more precisely. Data object shows what data is required for an activity. Group is used to group different activities but does not affect the flow in the diagram. Annotation is used to give the reader of the model/diagram an understandable impression. The main purpose of BPMN is to improve efficiency, account for new circumstances or gain competitive advantage. BPMN works as an easy-to-understand visual representation of the process of an activity. It can help people who will implement the process to have a more detailed guide. A diagram can be much easier to understand than text would be. Business partners can reach a easier communication and collaboration and heading for the goal of an efficient process and high-quality result.